If the word “blog” makes you think of an online diary or journal then it’s time to change your perspective on blogging (trust us; it has evolved since the blogging craze of the 1990s). Blogging is no longer just for the stay at home mom looking to share gardening tips and recipes. It is an online window into your business; a learning center for you to share ideas, solve problems, generate feedback and position your business as an expert within your industry. 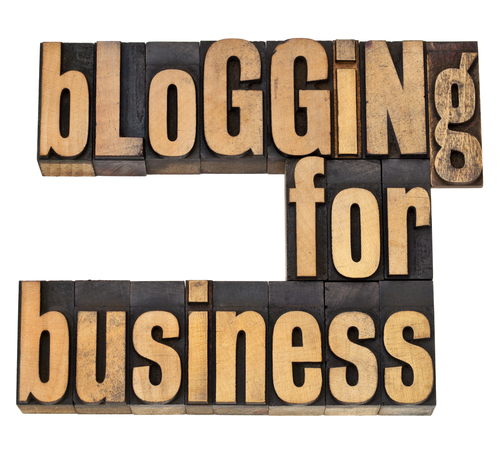 In today’s business world more and more businesses are adopting blogging into their marketing process. Whether or not they are taking advantage of a blog's full potential, it is often up for debate. If your blog isn’t reaching the volume of readers you had expected or generating the kind of response you had hoped for then instead of giving up, it’s time to step up your game. According to HubSpot, companies that blog have 55% more visitors, 97% more inbound links and 434% more indexed pages. More visitors mean more potential leads, and higher inbound links and indexed pages means your website is ranking higher in search engine results. Business blogs are a great platform for discussing a topic in detail, especially a niche topic. Niche blogging is a great way to engage readers because a niche market is typically a smaller, tightly focused community of individuals who are very interested in this one, particular subject. Here’s an idea: if you own a web design company and have a large niche market of readers interested in HTML code you might consider dedicating a particular day to this topic, like HTML Thursday. Doing this means you are not only blogging weekly about this niche topic, but you are blogging consistently about this topic. Your readers will know what to expect and start checking your blog every Thursday for these posts. While blog posts can vary in length they are without a doubt longer than a tweet or a Facebook post and delve much deeper into a subject. So start thinking about your blog as an information hub and then share your posts on social media networks. Finding the right way to share this information is important and will vary depending on what network you are posting to, but will ultimately drive traffic back to your website via your business blog. Linking back to your website within your posts when it is appropriate. Make sure this isn't forced or you’ll risk sounding like a computer and losing readers. Linking to external sources and internal sources, such as previous blog posts or premium content offers. Make sure you find a good balance between crediting external sources for information and proving yourself as a thought leader. Including social media buttons at the top or bottom of your blog posts so it’s easy for readers to share this information with their friends, thus increasing your market and driving new traffic to your website. SEO isn’t just about keywords anymore; instead Google scans sites to see how often they are updated, how often others link to your site and how often they are shared on social media pages. With that in mind SEO content and effective keywords are absolutely essential to your blogging strategy and will increase your visibility across search engines. Remarkable content and valuable information is what builds trust and captivates readers so finding the happy medium between the two is super important! If your writing loses personal flair when you think about keywords then stop thinking about keywords (at least until you've gotten a first draft done). Once you have a dynamic blog post developed, go back and plug in keywords where you think they may fit. You may even surprise yourself and find your blog post has organically included these words without putting too much thought into it. Encourage your readers to leave feedback and share your posts to increase your presence in search engine results. If the content you are creating is well-written, useful and educational this will likely happen on its own, but it doesn’t hurt to help this process along. Ask your readers questions and respond to the comments they leave. Offer an incentive for sharing content or run a contest that’s exclusive to your blog followers. Before you know it your loyal customers will turn into brand ambassadors. There’s a lot of ways to improve your relationship with your customers and I’m not sure that maintaining a blog is what comes to people’s mind when they think about this concept. But it should! Your business's blog is not a place to make a hard sale; instead it’s a place to provide free, educational and interesting information about your industry. It’s a place to gain trust with your readers. Talk directly to your customer: Addressing your readers will help them envision themselves taking an action. For example, “Your business will increase ROI after three months” sounds more personal than “Businesses see an increase in ROI after three months”. Bring up topics you suspect readers are thinking about: Maybe a certain question keeps coming up on Facebook or maybe you need to do a little research to figure out what your readers are looking for. Either way giving the reader what they want will get you what you want, we promise! Take your time to develop each topic and be thorough: We don’t want you to sound like a broken record; this is where linking to your previous blog posts can come in handy, but we do want you to thoroughly cover the topic you are addressing. Tell the reader something they didn’t already know or clarify something that has proven confusing in the past. Tackle sensitive subjects and recognize and address mistakes instead of shying away from something. Try to put a positive spin on them, like focusing on what you learned from your errors. Not only will this help you gain trust with your readers, but it will also humanize your brand. People make mistakes; it's how you deal with them that will separate you from the competition. Don’t just feature information about your business on your blog but offer expertise within your industry. Regardless of what you are selling you likely know lots of information about your industry, so instead of focusing your blog posts on your products and services think about problems and questions that come up regularly and focus on them. By providing valuable and insightful information to your reader you are positioning your brand as a leader in your industry. You are proving you’re an expert and gaining their trust, so in the future when a question comes up they will think to refer to your blog for information. They may refer others to your business and before you know it you have gained a new follower and a potential lead that you may have never connected with otherwise. Business blogs are also a great place to do market research. You already know your readers are interested in what you are saying and active in your industry so take advantage of that by encouraging comments and conversation. As an industry leader you still have a lot you can learn and gathering feedback via your blog is a great way to stay on top of the market. So are you convinced? We hope so!